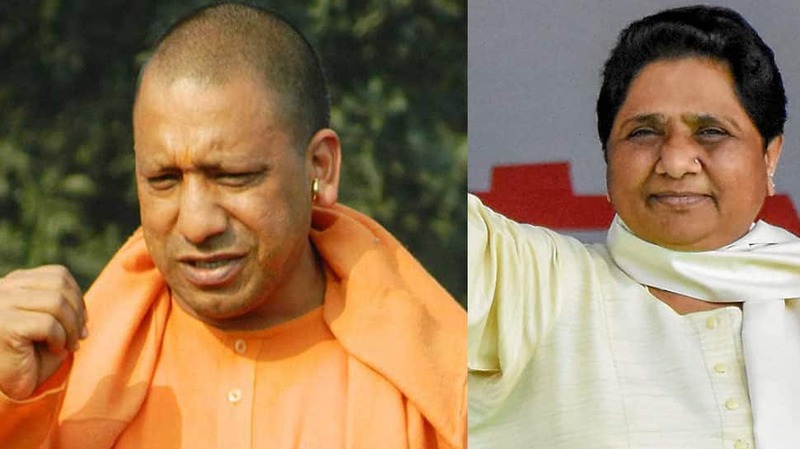 Hours after the Supreme Court expressed its displeasure over Election Commission’s decision to not take action against Uttar Pradesh Chief Minister Yogi Adityanath for his statement on Ali and Bajrang Bali and BSP chief Mayawati for appealing Muslims to vote for her party, the poll panel swung into action on Tuesday and banned Yogi Adityanath and Mayawati from election campaigning for 72 hours and 48 hours respectively. The ban starting from 6 am Tuesday has been imposed on both the leaders for violating Model Code of Conduct (MCC) by making objectionable statements in their speeches, the EC said in a press release. Earlier in the day, the apex court had also expressed displeasure with the poll panel ‘having limited power to act against leaders like Mayawati and Yogi Adityanath making statements along religious lines and violating model code of conduct during elections’. An SC bench led by Chief Justice Ranjan Gogoi had ordered the representative of EC to appear before it on Tuesday. “You can’t sleep over such issues. You have done nothing about such statements. You must act when these statements are issued,” the SC had said. Yogi Adityanath was issued show cause notice by the EC for his “Ali” and “Bajrang Bali” remarks which the Uttar Pradesh CM had made while addressing a rally in Meerut. Yogi Adityanath was found prima facie guilty of violating the MCC and the EC had sought a response from him within 24 hours.